Personalize your SEO offering while gaining trust and credibility from your clients. SE Ranking White Label feature will allow you to present your reports reflecting your logo, header, footer and the custom style reporting that is unique for your firm. 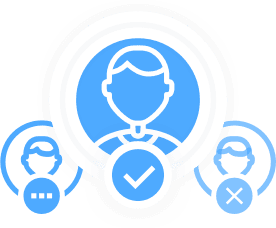 Whether it’s an automatically mailed report or a scheduled audit - get it highly personalized and accurate to quench the requirements of the most demanding client of yours. We offer API and scripts for professionals who need more advanced access setting. Extract all the SEO data and apply it as you deem useful.